Herbert Needleman, MD, A pediatrician and child psychiatrist at the University of Pittsburgh Medical Center, Dr. Needleman is distinguished as a researcher who, having determined the developmental implications of excessive exposure to lead, has worked tirelessly and at great personal cost to force governments and industry to confront the implications of his findings. While this has made him the target of frequent attacks, he has fought off his critics with courage, tenacity and dignity. Dr. Needleman continues his work today, despite having already played a key role in one of the greatest environmental health gains of modern times — a five-fold reduction in the prevalence of lead poisoning in American children. In the 1970s, Dr. Herbert Needleman conducted a study while at the Harvard Medical School that provided the first clear evidence that lead, even at very low levels, could affect a child’s IQ. And, in a series of follow-up studies, he determined that lead poisoning had long-term implications for a child’s attentiveness, behavior, and school success. Despite the significance of his findings, Dr. Needleman never assumed that his studies spoke for themselves, or that the job of interpreting them for policy makers and the general public belonged to someone else. Having identified a preventable affliction harming millions of children, he set about the process of educating everyone — from parents to government advisory committees — on the dangers of childhood lead poisoning. After extensive scientific review, his findings spurred the Centers for Disease Control to issue guidelines for the diagnosis and management of lead poisoning in children. 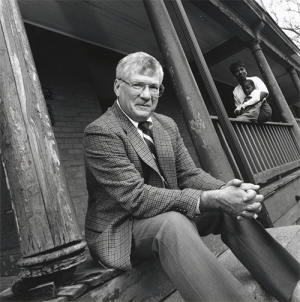 Dr. Needleman’s work was instrumental in the decisions made by the Environmental Protection Agency to mandate the removal of lead from gasoline and by the Consumer Product Safety Commission to ban lead from interior paints. Additionally, Dr. Needleman’s studies prompted the Department of Housing and Urban Development to remove lead from thousands of housing units across the country. The results, in public health terms, have been dramatic, with average blood lead levels in this country dropping an estimated 78 percent from 1976 to 1991. It is not surprising that Dr. Needleman’s work made him a frequent target of criticism by the lead industry, or that he was once forced to defend himself against charges of scientific fraud and misconduct. Not only was he exonerated, but he fought for and won the right for those accused of such charges to an open hearing with legal representation — a right that has benefited the entire scientific community. Dr. Needleman is a superb medical educator and writer who remains committed to the cause of eradicating pediatric lead poisoning. The founder of the Alliance to End Childhood Lead Poisoning, an education and advocacy organization, he continues to work today on one of the most difficult issues in environmental health — reducing the hazards of lead-based paint in the homes of those living in the inner city. Dr. Needleman was a member of the Board of Directors of the Alliance for Human Research Protection. Note: This profile is excerpted from the commemorative brochure published at the time of the awards’ presentation. Posted by Vera Sharav | Saturday, September 27, 2014 |	Categorized Honor Roll--Exemplary Professionals | Tagged Advisory Committee, Harvard Bookmark the permalink.